No kitchen is complete without at least one of these manually-operated food processors. It is the most essential of all knives used in the kitchen. For the coarse or fine chopping, mincing and dicing of virtually every kind of food. Perfectly balanced, an extension of your hand. The mid section of the blade is remarkably appropriate for either firm or soft food. The gentle curve of the blade is ideal for mincing of leeks, chives, parsley etc. The front of the blade is suitable for many small cutting jobs. It is particularly useful for chopping onions, mushrooms, garlic and other small vegetables. The sturdy spine of the blade can be used to break up small bones or shellfish. 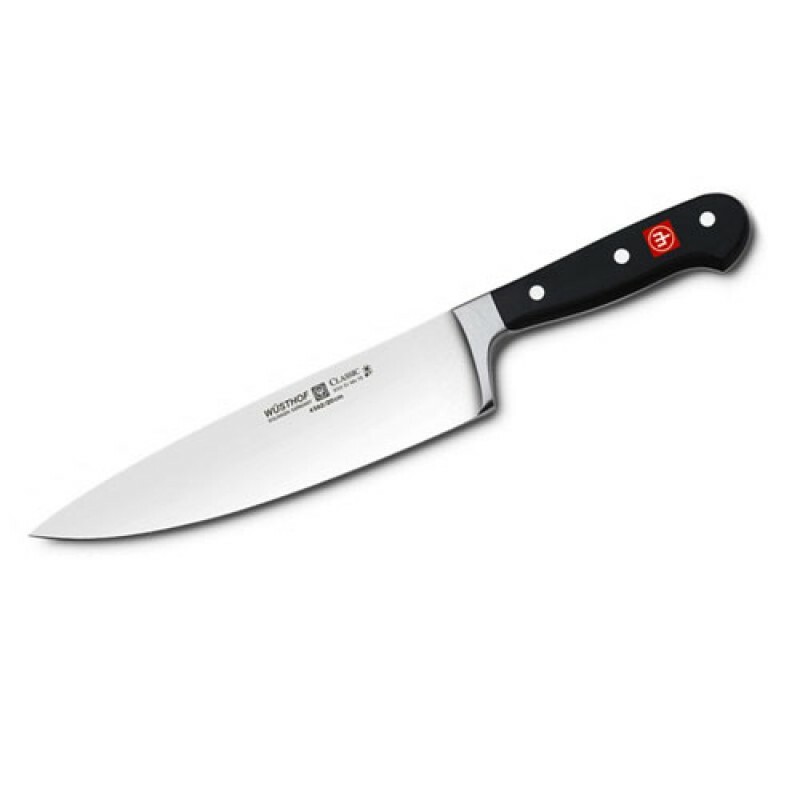 The weight distribution is optimal at the heel of the blade and is used to chop through extremely firm food objects. The wide flat surface of the blade is suitable for flattening and shaping of meat cuts such as fillet as well as for lifting of the chopped product.